Alexander Lim Arrieta - Edmonton's Burial & Cremation Professionals | Trinity Funeral Home Ltd. 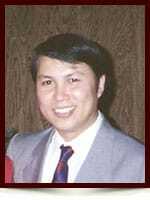 It is with great sadness the family announces the passing of beloved husband, father and grandfather Alexander Lim Arrieta. After a long battle with cancer, Alexander passed away peacefully in the evening of January 28th, 2015 surrounded by his family. He is survived by his wife Kathleen, his children Karen & Kenny, Aileen & David and his two grandchildren Melissa and Jordan. Honoring Alexander’s wishes, a viewing will be held at the Trinity Funeral Home on February 3rd, 2015 between 2-4pm, followed by cremation. The family wishes to extend heartfelt thanks to the staff at the St. Joseph’s Auxiliary Hospital Palliative Care Unit and the Grey Nuns Unit 43 for their kind and loving care in his final days. I am a high school classmate of Alex at Silliman University, Dumaguete City, Philippines. I would like to express my deepest sympathy for your loss. I am so sorry for your loss. I feel privileged that I was able to get to know the special man that Alex was during his final months. Kathleen, my heart is breaking for you, and I hope you take the time you need to heal a bit before you come back to work. Karen, it was a pleasure meeting you and you really put that sparkle in your dad’s eyes by being there beside him as long as you were. Regrettably, I won’t be able to make it to the viewing, as I am working Unit 43 that evening. I will be thinking of you and praying that you find peace in the upcoming days. Take care of yourselves and know that Alex is beside you every step of the way.